Do people give each other Easter presents, and if so, what is the policy on re-gifting? Because Kanye has an Easter present for you, and it’s a repackaged version of the soulful Life of Pablo opener “Ultralight Beam.” “Ultralight Prayer” strips the rap verses out of the original so that the emphasis lies solely on the crescendoing power of Kirk Franklin’s sermons as backed up by Kelly Price and a gospel choir. 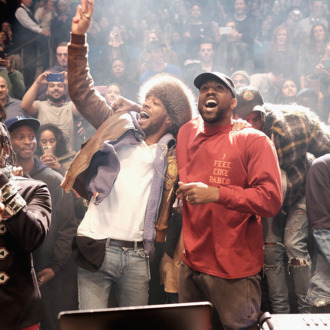 Kanye hasn’t incorporated the Soundcloud upload into the ever-evolving Pablo on Tidal, but it gives you a hint of what a truly gospel Kanye album might sound like. Enjoy the Kanye bread pudding — built with existing ingredients, but still real good.